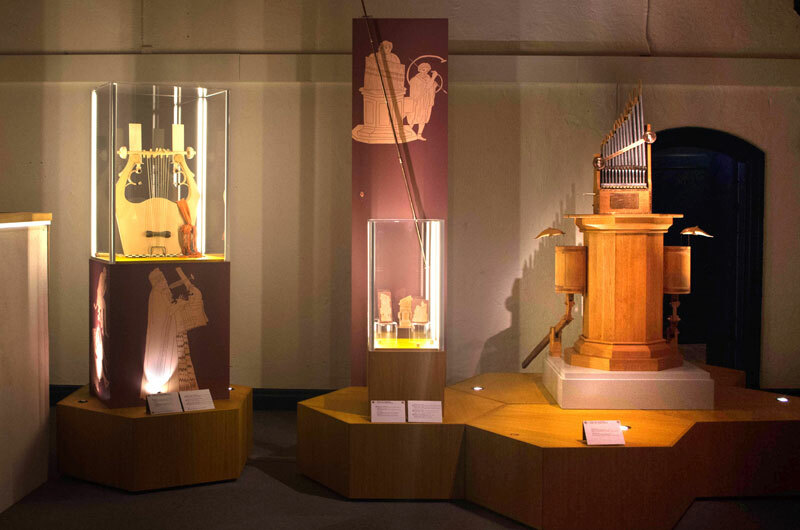 The third room of the exhibition – Music for the Living, Music for the Gods – shows how the musical instruments of the past were used, and tells about the meaning of their sounds. It will be discovered that the uses and meanings of ancient musical instruments were often similar from one culture to another. The room features musical contests and spectacles in Antiquity, as well as funerals involving music and musical instruments. Also, the role of music in legends and myths, and the music played in religious ceremonies can be explored. 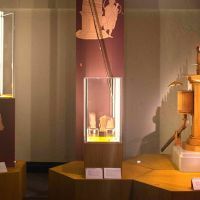 Finally, on hand of the spectacular sound artefacts discovered in Pompeii, the presence of music and sounds in ancient urban environments is shown.